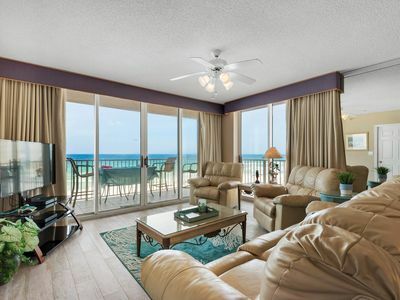 On Okaloosa Island this top floor 2BR/ 2-BA condominium offers stunning views of the Gulf of Mexico and its sugar white sands. 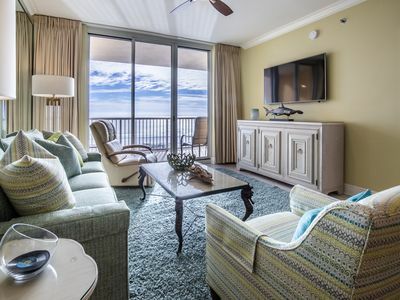 Enjoy sunsets from your private balcony. 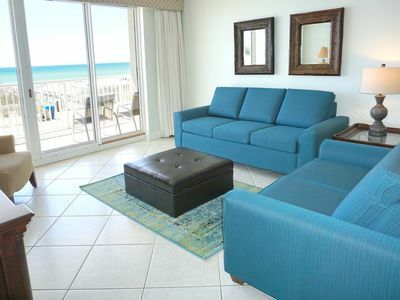 Emerald Isle a wonderful mid-size complex with the sugar white sand beaches of the Gulf of Mexico just steps away. 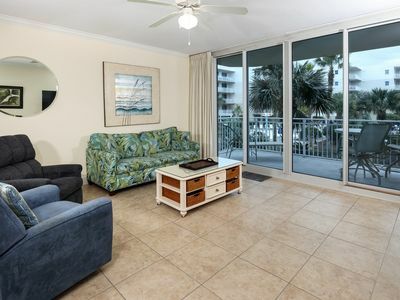 A Beach-side pool offers grills and picnic area located on the pool deck and has been recently remodeled. If you’re not in the mood for water activates play a round of tennis on the complex’s courts. The views begin the moment you step inside this bright and spacious 1250 square foot recently updated open concept home. 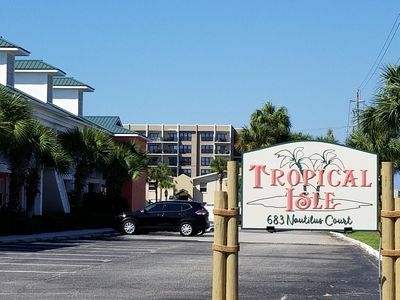 High Speed internet/WiFi, Master bedroom has a king size bed with a beautiful view of the Beach, 2nd bedroom has a Queen size bed with a view of the Inter Coastal Waterway. Our home has a queen size sofa sleeper in the living room with a new mattress and views. 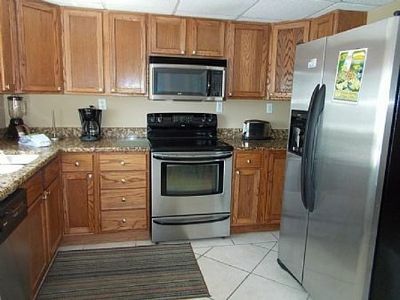 You’ll enjoy cooking in this well-equipped kitchen that offers both views of the beach and the Inter Coastal. Coin operated washer and dryer located on the same floor. Don't have change not a problem you can swipe most major debit cards. Roku streaming device in living room to enjoy your favorite steaming sites. 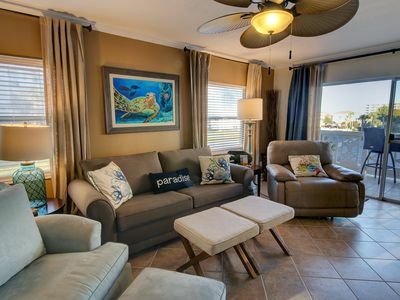 Movies, books, and games in the home for those rainy days or just relaxing together as a family after a day spent enjoying the, sun, sand, and water. 1 assigned parking spot for the home with limited overflow/guest parking. 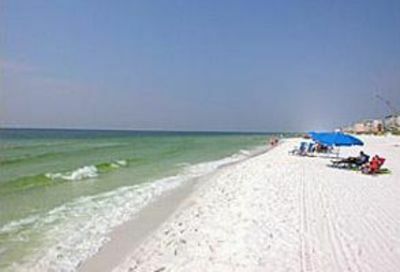 Okaloosa Island is a beautiful barrier island located between Destin and Fort Walton Beach FL. Voted in the top 10 of the Worlds Best beaches. 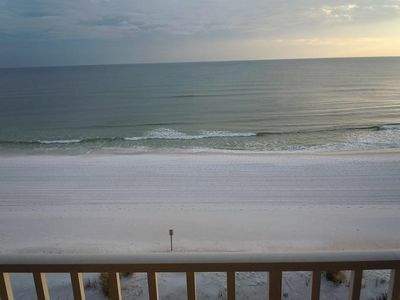 The beauty of the colored waters and snow with sand, which is so fine that its often compared to sugar. 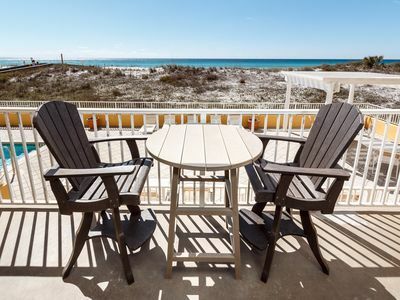 If you are looking for a peaceful, private vacation on the beautiful Gulf Coast, away from all the crowds but within easy access of Destin and local attractions, then lovely complex is the place for you and your family. One member of the Rental Party must be at least 25 years of age. No parties are permitted! No exceptions or excuses. Reservations made under false pretenses will forfeit all monies paid. Guest shall not create excessive noise at a level that disturbs neighbors Quite hours are from 10p.m.- 8a.m. 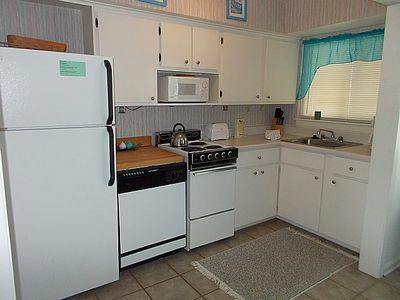 Keep the property and all furnishings in good order, only use appliances for their intended uses. Water and Septic: DO NOT FLUSH anything other than toilet paper down the toilet. No feminine products or flushable wipes should be flushed at any time. We provide disposable bags to discreetly place these items in trash can. If found that that feminine products or wipes have been flushed and clog the septic system you will be charged for the service call for maintenance and any damages. We provide Beach Towels for you use at the pool and beach. We do not permit bath towels or linens to be taken out side of the home. If towels or linens are taken outside the home an extra charge will be incurred. All Garbage is to be disposed of properly in the garbage shoot located on the same floor as condominium. Do not leave garbage bags on the front porch. This is a violation of Emerald Isle rules and owners are fined, these fines will be passed on to the Guest who incurred them. 4. Text us when you depart please. The cleaning fee covers basic deep cleaning (dusting, sweeping, mopping, linens, etc.) Anything beyond basic and you will incur an extra fee. Examples: excessive sand on furniture or in/on appliances, spills on furniture or carpets that weren’t cleaned up. There is an owner closet that is marked and locked. It is not for guest to use without permission. We do keep it locked, but in the invent it is left unlocked and a Guest decides to help themselves there is a $100 charge deducted from security deposit. If you are in need of anything, please contact us and we will try and resolve the issue and meet your needs. If you re arrange the furniture you must put it back in its proper place. If not, you will be charged an additional $50-$100 USD fee for cleaners to do so. This includes unplugging lamps, moving them, TV, etc. 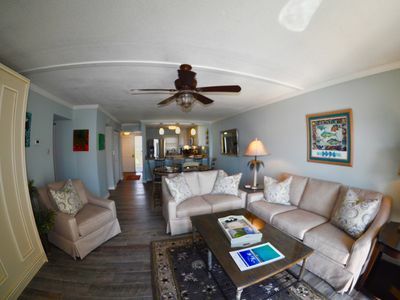 We want you to feel free to enjoy the home and your stay, we just ask you to put the home back the way you found it. We ask that you treat our home with the same respect you would a dear friends home. Feel free to contact Annie Allen the homes local Co-Host at the number provided when booking is finalized and is also posted in the home. 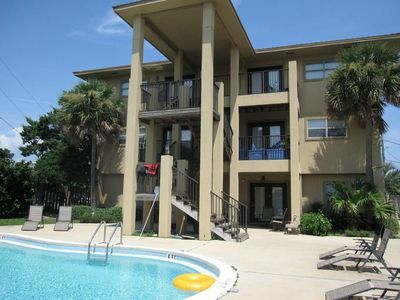 There are so many things to see and do on the Island all within less than 10 miles from the Condo. Established in 1955, the Gulfarium Marine Adventure offers daily Dolphin and Sea Lion shows. 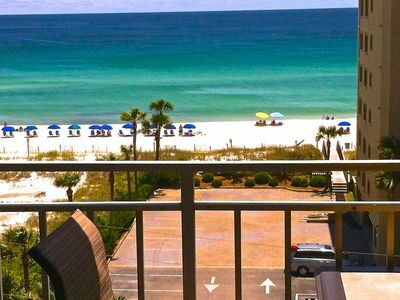 There are many parks, dining options, and adventures to explore on Okaloosa Island. 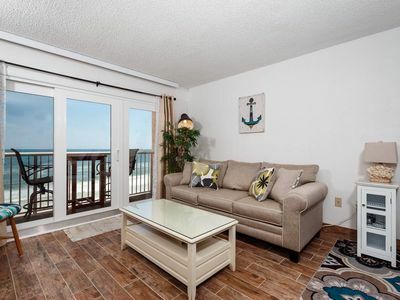 At Okaloosa Island Pier- you can rent poles and go fishing in the beautiful Gulf of Mexico. 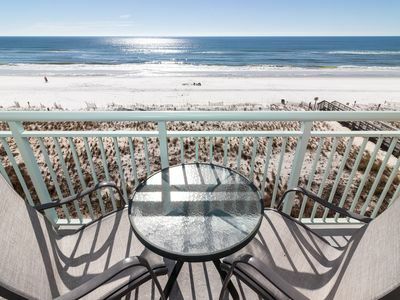 The Boardwalk is located next to the pier and you can enjoy swimming and sunning. Swim suits and sandy toes are always welcome at the many restaurants and shops to be found there. Gulf Island National Seashore and the other parks are all for free and offering plenty of family friendly fun. There a several great choices for night life on the Island. There are many Eco Tours and fishing charters departing from the Marina behind Fudpucker’s. You can also rent a Pontoon boat at the Harbor and head to Crab Island. 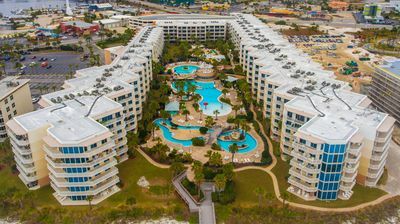 Head 6 miles into to Destin or the 3 miles into Fort Walton Beach to explore more options for dining, Nightlife, shopping, or Family friendly parks. Waterscape B326 - Spring availability – won’t last long! 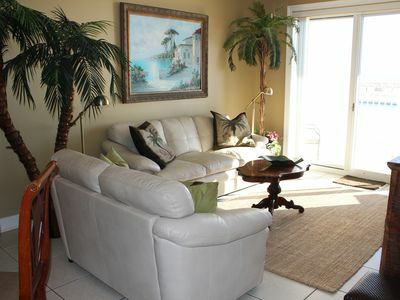 Islander 1-602 - Booking spring vacays, now! 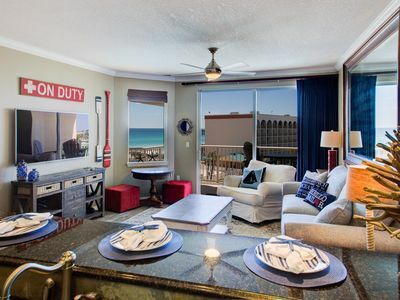 PALMS 501 LARGE CORNER UNIT...2019 DATES ARE HERE!...CONDO RIGHT ON THE BEACH! 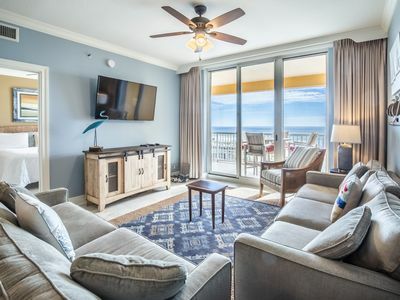 Destin West Gulfside 508 ~ All the Upgrades! ~ Amazing View ~ Must See! 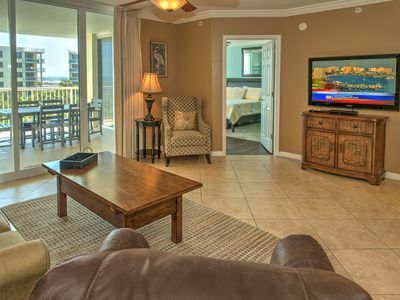 "Pelican Isle Unit 415" Beautiful 4th floor Gulf Front Condo! Seeing is Believing!